Proving they are no one's fool, Dark Horse Comics have many heavy-hitters headed our way in April. The return of Dark Horse Presents heads the bill, with a sneak peak at Frank Miller's 300 spin-off Xerxes. Of all the covers in the crop - these four are picked as the ripest. 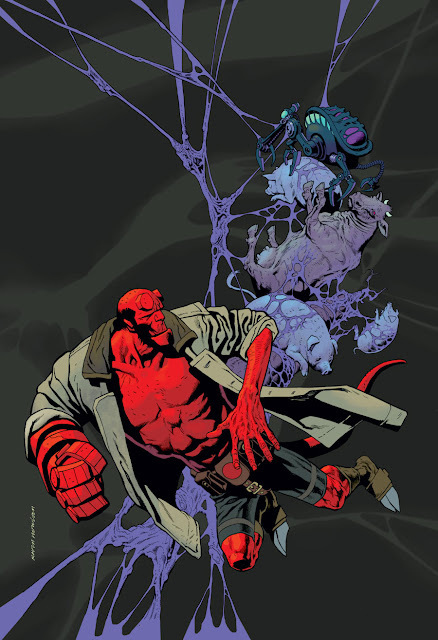 ONE TO WATCH: HELLBOY: BUSTER OAKLEY GETS HIS WISH (One Shot) Hellboy is a trick - as cool as he is a lot of artists fall when they try and draw Mike Mignola's big-handed boy. Kevin Nowlan though, is pro through and through and makes the pulp hero all his own here. 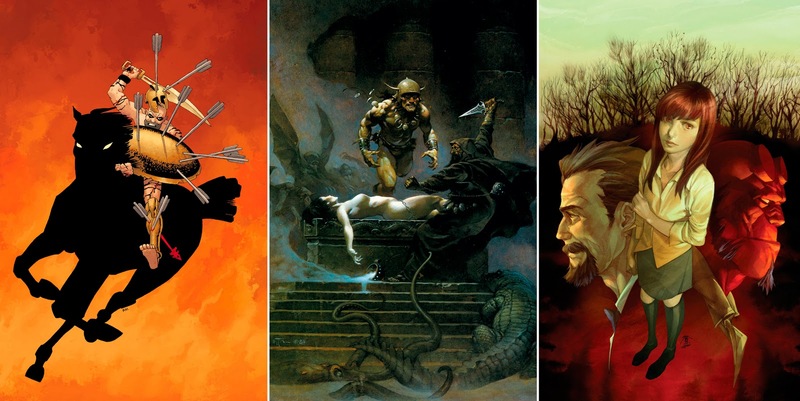 ARTIST AND TITLE: Frank Miller - Dark Horse Presents #1, Frank Frazetta - Conan: The Frazetta Cover Series #7, and Jo Chen - B.P.R.D. : The Dead Remembered #1 (of 3). More Dark Horse April Tom-foolery after the jump.